en_US 00302663049101 A holiday in Golden Fox Complex means : Waking up in the morning to enjoy the breathtaking combination of azure sky, turquoise sea and the myriad greens of nature. Enjoying the panoramic view from the veranda of our swimming pool which overlooks the monastery and the green and blue bays of Paleokastritsa. Partaking of delicious homemade dishes of the day and relishing our homebaked cakes with your afternoon coffee. Swimming in the pool without any time restrictions. Choosing carefully selected traditional souvenirs from a wide variety of table linens, rugs and hand carved olive wood pieces. en_US 0030266-1097389 Located 400 metres from the beach of Dassia in Corfu, Villa Toula offers self-catered accommodation with free Wi-Fi and a balcony overlooking the lush gardens. The village centre is 500 metres away. A kitchenette with cooking hobs, fridge and dining area is included in all the air-conditioned units at the Villa Toula. Each has a satellite TV. Some units offer a separate bedroom and living area. Sun loungers and umbrellas are available in the garden for guests to relax. BBQ facilities are also provided free of charge. Ipsos Beach is less than 2 km away. Corfu Town is at 13 km. Corfu International Airport is within 14 km. en_US 0030266-1097198 With a fantastic garden that we have built for our customers only. Our love is there and we hope that you will enjoy it…We have created this facility as an oasis of calm, peace and recreation, suitable for families and children(our young friends can be easily accommodated on the ground floor of the studio), as well as for couples or groups of friends.That’s why we have concentrated our entire attention and effort on the comfort that everybody seeks after a long and busy year. en_US 00302663041838 Enjoy a relaxing and great vacation in Paleokastritsa at Theodore & Niki Apartments & Studios! Holidays are fun again! en_US 00302663041911 Surrounded by olive trees Pieros Studios Lisipios is just 500 metres from the Agia Triada Beach in Palaiokastritsa. 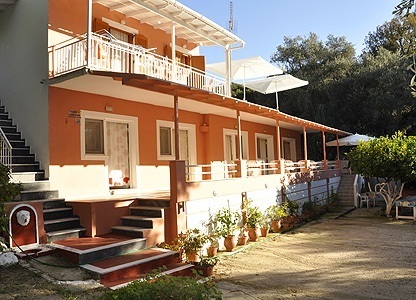 It offers air-conditioned studios with free Wi-Fi and furnished balcony overlooking the garden and the mountains. A kitchenette with cooking facilities, fridge and electric kettle is included in all studios and apartments at the Pieros Lisipios. Each has a TV and a private bathroom with shower. Guests have free access to a private pool 50 metres away. La Grotta bay with a beach bar is at 400 metres. Restaurants and shops are within a 2-minute walk. Staff can arrange car rental to explore Gouvia 12 km away and the scenic town of Corfu at 25 km. Free private parking is offered at the property. en_US 00302661064000 In a paradise - unseen till a few years ago - which hid a sacred mountain covered with dense forests over fertile meadows and small rivers, we discovered one of the most beautiful sandy beaches of the Ionian sea. 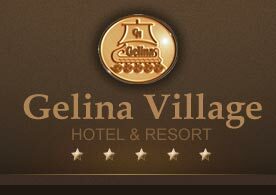 It is there where we have built the Gelina Village complex, which comprises the Gelina Village resort & spa, along with the satellite Basilia apart hotel, the Gelina Mare hotel and the Hydropolis waterpark & sports centre. en_US 0030 Ionian Blue Garden Suites with Sharing Pool Within 42 sq. m of comfort, these brilliantly appointed suites with sharing pool can accommodate up to 2 adults and 2 children or up to 3 adults and 1 child. These rooms feature an inspired classic décor. It`s an amalgamation of the traditional and the contemporary, built in the Corfiot vernacular complemented by all modern conveniences and a brand new sharing splendid swimming pool that offers a sensation of absolute serenity and relaxation. The comfort of an open terrace room with a shared plunge pool at your door step. These rooms have direct access to the main sea water pool bar and pool restaurant-bar as well as the lift to the private sandy beach and the beach bar, also the indoor heated pool and the Health club. There are sunbeds and umbrellas in the lawn for all neighboring rooms where guests can enjoy the sun, offering a more private and secluded swimming and sun bathing experience. ROOM AMENITIES: - Individually controlled air conditioning - Sitting area including a comfortable sofa & coffee table - Direct dial phone - Free WiFi Internet connection - Hairdryer - Satellite flat screen TV - CD/DVD player - Mini Bar (full upon request) - Marble bathroom with bathtub - Luxurious bathroom amenities - Bathrobes & slippers - Fully furnished private veranda - Pool towels - Daily housekeeping service - Wake-up Call service All Rooms enjoy upon arrival a basket of fresh fruit, a bottle of mineral water, and a bottle of local wine. These family rooms are ideal for a relaxing family vacation in corfu Island, Greece. en_US 00302663096361 Angelos Apartments are situated right on the beach on the western side of the village of Agios Georgios in NW Corfu. The vine roofed restaurant "The Golden Moon" is situated in the front of the complex, with the guest accommodation set behind. The beach is reached by crossing a small road in front of the restaurant. Fifty metres/yards is the distance from the apartments to the lovely white sands of the beach. Angelos has quiet surroundings especially during the low season. There are no nightclubs / noisy tavernas in the vicinity and if Agios Georgios does have any nightlife, it is confined more to the busier central and eastern side of the village (approx 1 to 2 km away). Angelos is definitely for those people seeking a quiet relaxing holiday and is ideal for couples or individuals who appreciate the simple things in life. 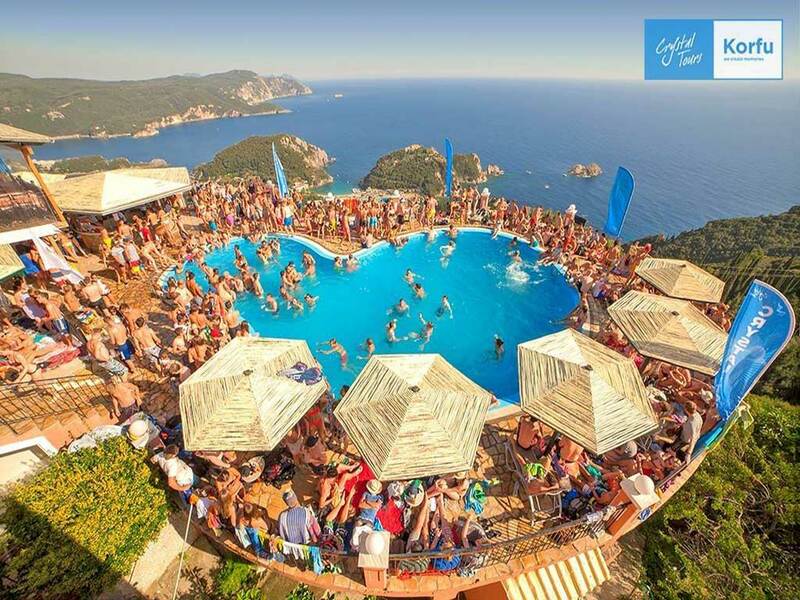 If it is nightlife you are after, this is not the place for you and places like Sidari (on the north coast of Corfu) may be more suitable. 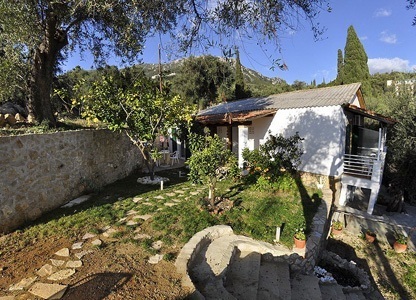 en_US 00302663049110 Dolphin studios and apartments are located in the middle of Paleokastritsa resort. All beaches are not more than 2 minutes. 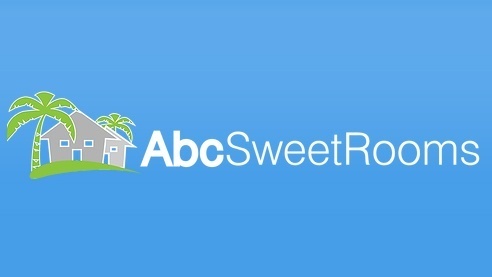 Everything is nearby, bars, restaurants, super markets, tourist shops, grill houses. etc. Enjoy your holidays in a very relaxing are surrounded from olive trees and beautiful flowers. en_US 00302661075376 Η Villa Ramos διαθέτει μικρά φιλικά διαμερίσματα και στούντιο, τοποθετημένα στο διάσημο & γραφικό παραθαλάσσιο θέρετρο Μεσσογγή, μόνο 20 μέτρα από την παραλία, τα οποία περιβάλλονται από κατάμεστους και ανθόσπαρτους κήπους λουλουδιών.Η Villa Ramos προσφέρει τα βασικά αλλά καθαρά πρότυπα στέγασης σε λογικές τιμές. Εδώ έχετε την ευκαιρία να απολαύσετε μια πολύ ήσυχη διαμονή μερικά βήματα από ότι θα επιθυμούσατε. Όλα τα στούντιο και τα διαμερίσματά μας είναι εξοπλισμένα με εγκαταστάσεις κουζινών, μίνι ψυγείο, Α/C σύστημα, ιδιωτικά λουτρά και μπαλκόνι. Κάθε στούντιο μπορεί να φιλοξενήσει μέχρι δύο άτομα και κάθε διαμέρισμα μέχρι τέσσερα, παρέχονται καθημερινός καθαρισμός και καθαρά σεντόνια κάθε 3 ημέρες. en_US 00302662051707 On the hill above the restaurant are located 15 apartments and rooms with a stunning view over the olivetrees, Ionic Sea and behind that the Greek mainland and rocky hills. It will take a ship one hour to sail from the far left side of your view to the right. Just as slowly and relaxed is the little village of Notos, where you are enjoying your holidays. The apartments are suitable for single travellers as well as couples or families. Every apartment or rooms is contains shower room, kitchenette, refrigerator, airconditioning and a spacious balcony. You are warmly welcomed to enjoy your breakfast underneath the grapevines of the pension’s terrace. Stawrula and Tassos Vagias look after your wellbeing. They are lovingly called ‚daddy and mummy‘, although they have recently become great-grandparents. Your room will be cleaned on a daily basis. You really don’t need to do any chores on your holidays! en_US 00302662029008 Τα διαμερίσματα Asprokavos Beach είναι μια οικογενειακή επιχείρηση που διευθύνεται από την οικογένεια Κάντα. Ιδρύθηκε το 1989 και μέλημά του είναι να σας εξασφαλίσει αξέχαστες και απολαυστικές διακοπές. en_US 00302661072500 Oniro Villas offers you the opportunity to spend a dreamy vacation season on the marvellous island of Corfu. You can find us at Agios Yannis Peristeron. 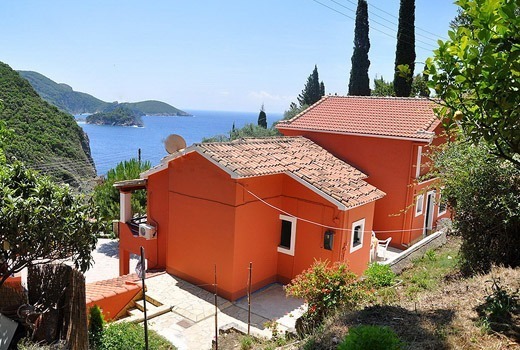 From the terraced house in the traditional architecture you have a fantastic view over the Ionian Sea. Oniro Villas apartments is situated in Agios Ioannis Peristeron between Benitses and Moraitika, at 13 km away from Corfu town and 12 km away from the airport. Accommodation: We have 10 family apartments for 2-4 persons, five of them with sea view (a big terrace of 25mp) and the other five with see side with balcony (of 8 mp).Each apartments of 40 mp, has a bedroom with free satellite TV and air-condition, a living room with one or two other beds, a little kitchen with mini -fridge and one bathroom. In every room there is free internet. en_US 00302662024400 The Scrivas Apartments is a 3 star resort. 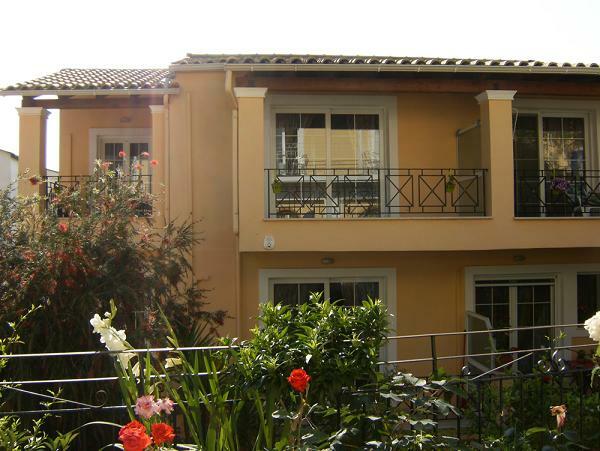 The apartments are located in Kavos in the St. Peter's Lefkimmi area in the southern half of the beautiful island of Corfu. The complex offers magnificent views of the sandy beach and is just a short stroll from the sea. The Scrivas apartments; Corfu; Greece is a 3 star resort. 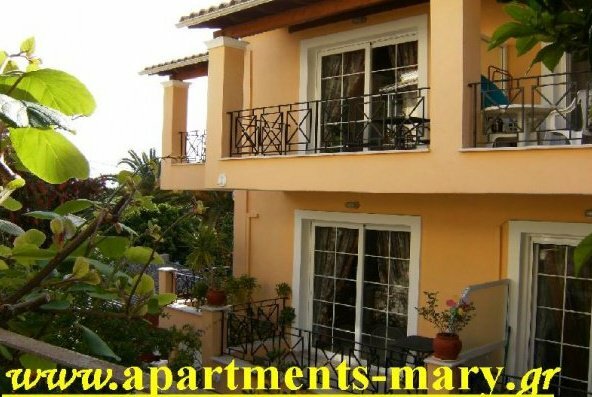 The apartments are located in Kavos in the St. Peter's Lefkimmi area in the southern half of the beautiful island of Corfu. The complex offers magnificent views of the sandy beach and is just a short stroll from the sea. Local Corfu attractions include Kassiopo; Agios Gordios; Archaeological Museum; Old Fort; Museum of Asia Art; Petrakis Line; The Kalypso Star; Sissi's Palace (Achilleon); Grotto Boat Tour; Mirtiossa Beach; Paleokastritsa; Mathraki; Zoodochos Piqu Monastery and the Church of Saint Spiridon. 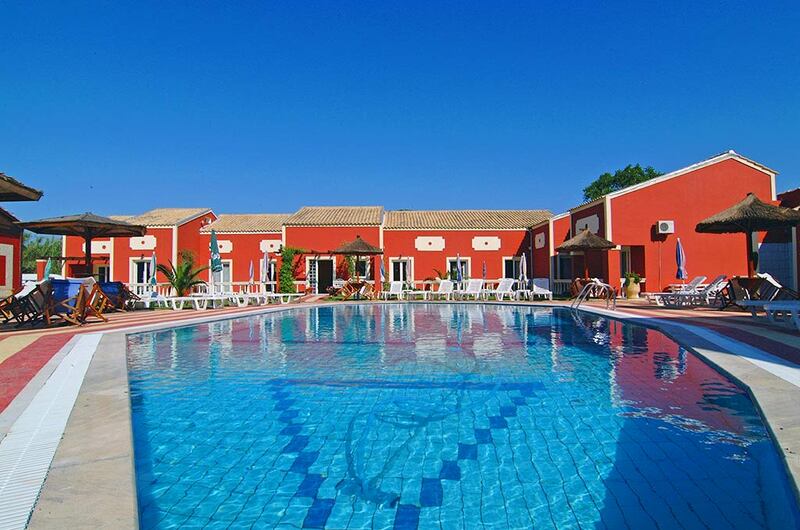 There are many fine restaurants; bars and entertainment areas within close proximity to the Kavos Scrivas apartments. The Kavos Scrivas Apartments are locate. 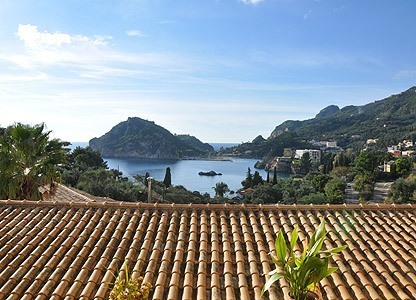 en_US 00302661500266 Dimitra Studios - A Truly Retreat Spot in Benitses at Corfu for Affordable Holidays Discover the stunning Corfu island in the secluded studios and apartments that make up Dimitra Studios. Located at Benitses village over a tranquil spot, overlooking sweeping sea views, these spacious airy accommodations are an intimate retreat oasis in the midst of vibrant Corfu splendor. It doesn't matter if you be with your family, your spouse or even by yourself. At Dimitra Studios you escape to your own private island hideaway. Benitses village is the ideal destination for memorable relaxing holidays in Corfu. Enjoy the comforts of as you are at home in one of our studios or apartments, complete with all modern amenities. 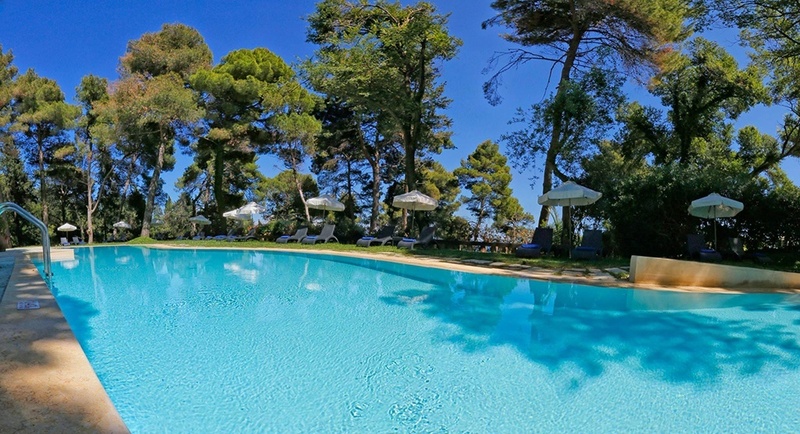 Unwind at our large and clean pool, with incredible views to the Ionian seas, surrounded by lush gardens. Dimitra Studios is a restful setting for your perfect island getaway. All the comforts and facilities you wish can be found at Dimitra Studios Retreat to the exceptional island of Corfu and leave routine and world behind. Book now at Dimitra Studios online for our Best Internet Rate Guaranteed. 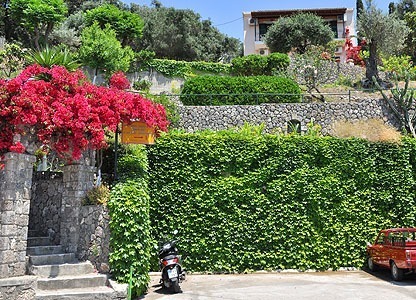 en_US 00302661072246 Welcome to "Elli-Marina Studios & Apartments" situated in the picturesque village of Benitses in Corfu, Greece. Benitses has earned a reputation as one of Corfu's finest resorts not the least because it affords its visitors the whole range of holiday experience: from outmost relaxation to total excitement. At "Elli-Marina" you can find accommodation suitable to all sorts of vacationers: couples, families or friends. Our apartments are fitted with air-conditioning, TV sets, a fully-equipped kitchen, a veranda with a view to the pool or to our garden. At the "Barracuda" pool-bar of "Elli-Marina", our guests can relax under the clear blue sky and experience the true meaning of Greek hospitality. This is where Elli and her staff strive to make you feel comfortable. Sunbathe poolside on comfortable sunbeds, play a board game or enjoy watching your kids as they have fun in the paddling pool. "Elli-Marina Studios & Apartments" is a mere stone-throw away from the beach - awarded with the Blue Flag - and a 5 minutes walk from the centre of the village, where a number of restaurants, tavernas, bars e.t.c., suitable for all tastes can be found! You can only take away the best of memories from Corfu by spending your vacation at Elli Marina Apartments and Studios. en_US 00306948572957 Το Rantos Apartments βρίσκεται σε μια γαλήνια περιοχή μόλις 150 μέτρα από το γεμάτο ζωή θέρετρο του Κάβου και 180 μέτρα από την παραλία. Το συγκρότημα προσφέρει όμορφα επιπλωμένα κλιματιζόμενα διαμερίσματα τα οποία μπορούν άνετα να φιλοξενήσουν 2-5 άτομα. Ο συνδυασμός απλότητας και λειτουργικότητας καθιστούν τα διαμερίσματα αλλά και ολόκληρο το συγκρότημα χώρο ησυχίας, καταφύγιο ηρεμίας, γαλήνης και αξέχαστων διακοπών. Πρώην ψαροχώρι, ο Κάβος είναι ένα από τα πιο δημοφιλή τουριστικά θέρετρα της Κέρκυρας και βρίσκεται μπροστά σε μια μεγάλη αμμώδη παραλία. Μερικές από τις πιο όμορφες παραλίες της Κέρκυρας βρίσκονται επίσης πολύ κοντά. Εκδρομές με καραβάκια στη Γαλάζια Λίμνη, την Πάργα και τα υπέροχα νησιά Παξούς και Αντίπαξους είναι πολύ δημοφιλή στον Κάβο. Τακτικά δρομολόγια λεωφορείων συνδέουν τον Κάβο με το αεροδρόμιο (40 χλμ), την πόλη της Κέρκυρας (40 χλμ) και το λιμάνι της Λευκίμμης (3 χλμ) το οποίο συνδέει τη Νότια Κέρκυρα με την Ηγουμενίτσα. Το ταξίδι διαρκεί μόλις 1 ώρα. Περίοδος λειτουργίας: Το Rantos Apartments είναι ανοιχτό από το Μάιο μέχρι και τον Οκτώβριο. en_US 00302662051714 You just made it to the most low-budget holidays at the sea! Enjoy the family atmosphere in our pension, the quiet sandy beach and the crystal clear sea, in an environment which can enchant even the most demanding holidaymaker. Explore the island s unspoilt nature, the endless olive groves and the enchanting green scenery. en_US 00302661046835 Cosmopolitan and aristocratic, an enchanting island, chosen by gods and men. All those that visit Corfu for the very first time are overcome by the feeling of nobility and glamour of another era, preserved through times, unaltered. Narrow stone-laid alleyways, people on balconies, old houses, but also smiling people, proud of their land and ready to win over even the most demanding of visitors. en_US 00302661061328 Καλώς ήλθατε στο Ξενοδοχείο «Konstantina Apartments - Κάβος Κέρκυρα»! Στον Κάβο Κέρκυρα θα βρείτε το ξενοδοχείο μας. Το Ξενοδοχείο «Konstantina Apartments - Κάβος Κέρκυρα» βρίσκεται μόλις 100 μέτρα από την παραλία και πάρα πολύ κοντά σε σούπερ μάρκετ, καταστήματα, φαρμακείο, γιατρό, στάση λεωφορείου κ.α. Το ««Konstantina Apartments» διαθέτει όλες τις σύγχρονες ανέσεις καθώς και πισίνα με μπαρ ανοιχτό έως αργά το βράδυ. Επίσης, διαθέτει και εστιατόριο με μεγάλη ποικιλία ειδικά σε ιταλικά φαγητά. Μπορείτε επίσης να διαλέξετε ανάμεσα σε ποικιλία ζυμαρικών, στεϊκ, σαλάτες τα περισσότερα συστατικά από τον κήπο μας. Χάρη των φιλόξενων οικοδεσποτών του ξενοδοχείου «Konstantina Apartments υπάρχει διάχυτη ατμόσφαιρα φιλοξενίας έτσι ώστε να αισθανθείτε σαν το σπίτι σας. Καλές Διακοπές και υπέροχη διαμονή στον Κάβο Κέρκυρα! en_US 00302662061435 Τα ενοικιαζόμενα διαμερίσματα & δωμάτια βρίσκονται 120 μέτρα από τη θάλασσα στον Κάβο Λευκίμμης Κέρκυρας, μια από τις μεγαλύτερες παραλίες του νησιού με άμμο. Είναι στο κέντρο του οικισμού, σε περιοχή χωρίς θόρυβο μιας και βρίσκονται 50 μέτρα από τον κεντρικό δρόμο. Τα δωμάτια είναι κατασκευασμένα με σύγχρονες εγκαταστάσεις και αποτελούν ένα ενιαίο κτίριο διώροφο. Στο ισόγειο υπάρχουν πέντε διαμερίσματα, τρεις γκαρσονιέρες που διαθέτουν υπνοδωμάτιο, w.c., καθιστικό – κουζίνα 30τ.μ. και δυο δυάρια που διαθέτουν δύο υπνοδωμάτια, w.c., κουζίνα – τραπεζαρία – καθιστικό 52τ.μ. Στις γκαρσονιέρες υπάρχουν από δυο κρεβάτια ενώ στα δυάρια από τέσσερα. Τα ίδια ακριβώς δωμάτια υπάρχουν και στον α΄όροφο όπου πηγαίνεις με εξωτερική σκάλα. Όλα τα δωμάτια κλιματίζονται. Καθημερινή καθαριότητα. Αλλαγή ιματισμού κάθε βδομάδα. Πρόσφατα ανακαινισμένα δωμάτια. Στον περιβάλλοντα χώρο έχει εκτός των φυτών και των δένδρων παραδοσιακή αυλή με σκιά από μποκαμβίλιες και τραπέζι με καρέκλες, επίσης υπάρχει μπάρμπεκιου πέτρινο παραδοσιακό καθώς και πηγάδι. Το κτίριο είναι παραδοσιακό και όλα τα υπνοδωμάτια διαθέτουν βεράντα. en_US 00302662061027 Miami Seaview apartments are located 5 minutes from the main road and provide quick access to the sea(200 meters). Also near Miami apartments you will find supermarkets and souvenir shops. Miami's location is ideal because it is very quiet but closest to the frienzied parties of Cavos. Miami Seaview provides Self catering apartments that can accomodate two, three, four or five persons.The apartments are equiped with single beds, kitchenette, bathroom and air condition(extra). Our customers are welcomed to use our Pool and ofcourse have drinks or snacks at our Pool bar!!! en_US 00302661072055 Σας καλωσορίζουμε στο συγκρότημα «Passas Studios & Apartments» στις γραφικές Μπενίτσες, ένα από τα πιο δημοφιλή τουριστικά θέρετρα της Κέρκυρας. Διαθέτουμε 4 οικογενειακά διαμερίσματα (δύο υπνοδωμάτια με 4 κρεβάτια, κουζίνα, μπάνιο ) και 4 στούντιο ( 2 κρεβάτια, κουζίνα, μπάνιο ) πλήρως εξοπλισμένα που προσφέρονται τόσο για οικογένειες, όσο και για ζευγάρια ή φίλους. Τα «Passas Studios & Apartments» απέχουν 50 μέτρα από την παραλία -11 χλμ από το αεροδρόμιο (Ιωάννης Καποδίστριας ) – 12 χιλ από την πόλη της Κέρκυρας με την οποία συνδέεται τακτικά και καθημερινά με αστική συγκοινωνία και μόλις 5΄ με τα πόδια από το κέντρο του χωριού, όπου μπορείτε να βρείτε πληθώρα από εστιατόρια, ταβέρνες, μπαρ και άλλα καταστήματα. 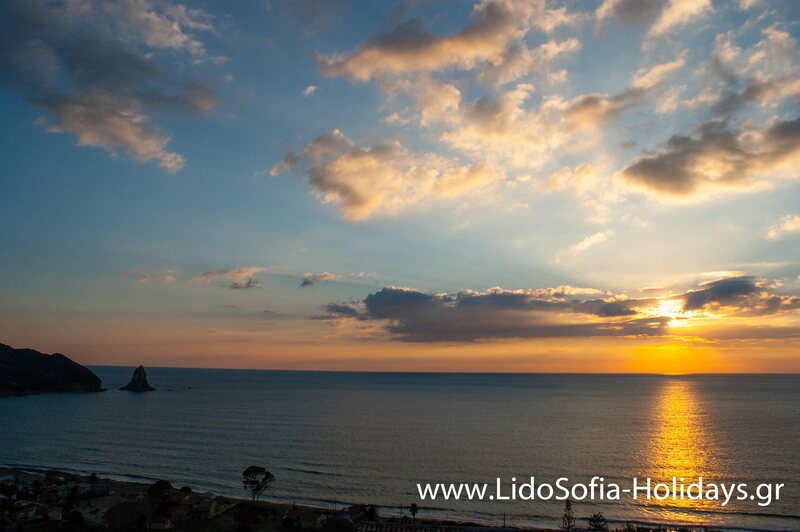 en_US 0030 Apartments and Rooms to let LIDO SOFIA HOLIDAYS are located in Agios Gordios, one of the most beautiful beaches of Corfu island. 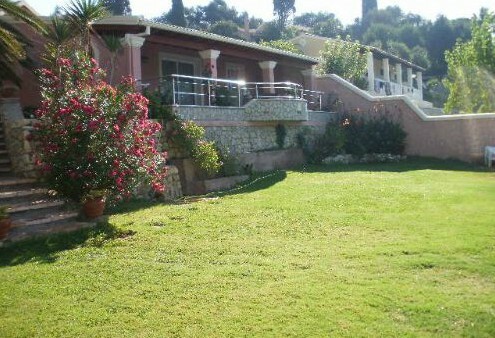 In a peaceful and full of green landscape with view to Agios Gordios beach. en_US 00302661071003 You will find Aronis Apartments 1 klm from the centre of Benitses village and 13 klms from Corfu Town. The complex is set in a peaceful , green environment with a stunning view of the sea, our swimming pool and gardens will take your breath away! Our apartments are a must for people wanting a quiet and relaxing holiday. Close by you can find supermarkets, restaurant/tavernas and a pharmacy. You will find the shingle beach 200 metres from the main road. We are a small family run business and guarantee you a relaxing and most enjoyable holiday. We also have private car park facilities. en_US 00302661061414 Τα ενοικιαζόμενα δωμάτια Μπισκούτσης βρίσκονται στον Κάβο της Λευκίμμης, 43 χλμ από την πόλη της Κέρκυρας. Το συγκρότημα είναι χτισμένο σε ιδανική τοποθεσία δίπλα στην καταπληκτική αμμώδη παραλία του Κάβου και απέχει μόνο λίγα βήματα από το κέντρο του οικισμού. Τα ενοικιαζόμενα δωμάτια Μπισκούτσης είναι αυτόνομα διαμερίσματα για 2 έως 5 άτομα. Κάθε δωμάτιο διαθέτει κλιματιστικό, τηλεόραση, ψυγείο, πολυκουζινάκι, ιδιωτικό μπάνιο και μπαλκόνι. Επίσης υπάρχει άνετος χώρος στάθμευσης αυτοκινήτων. Τέλος, οι επισκέπτες μας μπορούν να κάνουν χρήση του υπαίθριου κτιστού μπάρμπεκιου (barbeque/ψησταριά) που βρίσκεται στον κήπο μας. Στην περιοχή του Κάβου θα βρείτε μεγάλη ποικιλία εστιατορίων που ικανοποιούν κάθε είδους γευστική επιθυμία: Ελληνική, Ιταλική, Κινέζικη, Ινδική, Μεξικάνικη και Αγγλική κουζίνα. en_US 00302661095087 “Naftis” family hotel a complex of luxuriously furnished apartments is situated in Kontogialos – Pelekas beach on the dreamlike western side of Corfu about 13 km away. Their breathtaking view of the golden sandy beach (especially when the sun goes down), together with their speaking distance from it (20 meters) have characterized them unique in the area. GENERAL FACILITIES “Naftis” complex consists of : - 1 (one) two-room apartment of 60 square meters with space for up to five people - 4 (four) studio apartments of 40 square meters for up to three guests and a double room for two persons. en_US 00302661061106 Καλωσήρθατε στα Διαμερίσματα και Στούντιο Τζέσικα, μια ανεξάρτητη ξενοδοχειακή μονάδα στον Κάβο στην Κέρκυρα. Οι ιδιοκτήτες των Διαμερισμάτων και Στούντιο Τζέσικα είναι η οικογένεια Ασπιώτη (ο Βαγγέλης και η Σάρα) που διαχειρίζονται οι ίδιοι τα διαμερίσματα και φροντίζουν να είναι ένα καθαρό, ζεστό και φιλικό μέρος για τις καλοκαιρινές σας διακοπές στον Κάβο. Τα Διαμερίσματα και Στούντιο Τζέσικα είναι μια ποιοτική επιλογή για την διαμονή σας στον Κάβο της Κέρκυρας. Η καλή φήμη τους και η εμπειρία της οικογένειας Ασπιώτη εγγυώνται ότι θα λάβετε την προσοχή που περιμένετε και ότι θα απολαύσετε χαλαρωτικές και ξέγνοιαστες διακοπές σε ένα από τα πιο δημοφιλή θέρετρα στην Ελλάδα. en_US 00302661037775 Our apartments are located in a unique location with view to the sea of Paleokastritsa bay. The name of Paleokastritsa(old castle) indicates the existence of an old Castle which was probably built on the hillside where the Monastery of Theotokos stands. Kiki offering accommodation with fully furnished apartments, consist of a balcony with fantastic sea view. The apartments are also equipped with air-condition, sattelite Tv, coffee maker and free parking area. en_US 0030 Aphrodite Apartments are located on a magnificent site in Palaiokastritsa, one of the finest beaches of Corfu. Among the olive trees and cypresses, with panoramic sea views, an oasis of calm waiting to offer you unforgettable holidays. They provide their guests a comfortable accommodation in a beautiful environment with all modern amenities and the ability to enjoy the amazing views of the Ionian Sea and breathtaking sunsets from your balcony. The owners always friendly and eager, are available to you anytime for anything you need. Enjoy your vacation in the island of Phaeacians; enjoy the unique beach of Palaiokastritsa while enjoying our hospitality. You simply take the decision that you want to have fun. We will take care of everything else. Sincerely, Aphrodite, Dimitris. en_US 0030 Minore Studios located in south-east of the island, 20 km from the city and only 100 m from the pebble and sandy beach of Messonghi. The centre of Messonghi village is distant only 50 m and is considered to be one of the most picturesque resorts in Corfu because it combines mountains, sea and river. It is not a coincidence that this resort pioneered tourism in Greece. The resort is also famous for its numerous fresh fish and sea food taverns. Here you can also find bakery, grocery stores, restaurants and bars on the beach. Messongi river is a natural border between Messongi and Moraitika villages and it is used as a base for daily boat trips to Mainland Greece, sea caves, Mouse Island and Paxos & Antipaxos islands. At the distance of 1,5 km from the Studios lies village of Moraitika where you can find markets, boutiques, souvenir shops, restaurants, clubs and bars. Only 10 minutes drive you can find untouched protected area of sea water lake with huge 12 km sandy beach. en_US 00302662051949 Our idyllic fishing village lies in the southeast of the beautiful and is 25Km away from the capital of Corfu. Apart from the mass tourism, the romantic village offers all the shopping facilities, cocktail bars, and taverns; some evenings Greek dancing parties also take place. Petriti, with its delightfully harbor for fishermen, early in the morning or in the evening is crammed with all ages fishermen. It is interesting to observe how big fishes are caught; the big nets become outspread, and then is collected together as 100 years ago. Petriti, with only 700 inhabitants, was called in Ancient Greek Egrypos. Egrypos is deduced from “Ev-rous”, which means good river-course, because in the region always existed a lot of water. Egrypos lies among the green forest, from where you invite peaceful migrates, through the 200 old trees. Gladly we give you tips for individual walks up on which you can detect easily the wonderful and outstanding panorama. Worth of seeing is our breath caching mountain village Korakades with its miracle-made picture behind the church, the church itself with its bewitching picture icons, ornaments and frescoes, and the hospitality of the old people, who never leave their houses. 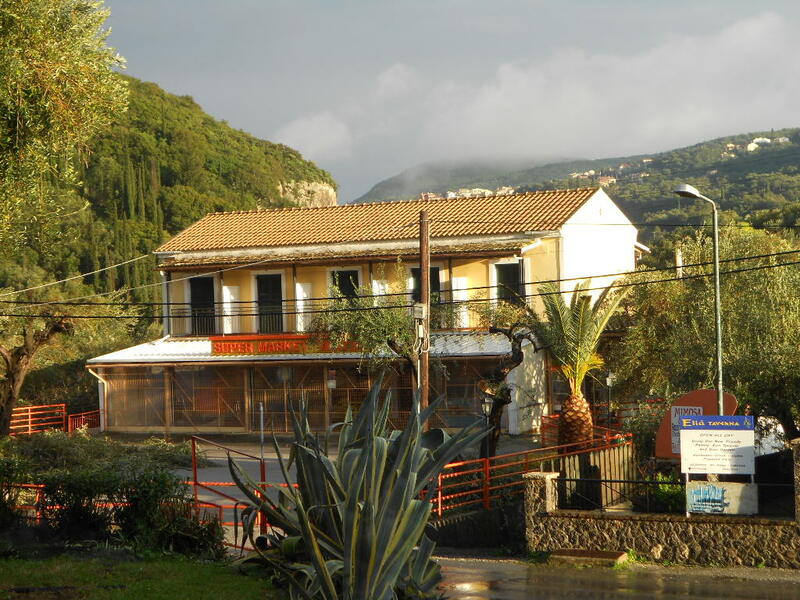 en_US 00302661053256 Welcome to Sebastian's, one of the oldest Family Tavernas & Accommodation in Agios Gordios, Corfu. Established in 1977, our family business has been offering friends, family and visitors an opportunity to relax into the Greek way of life for more than 30 years. With my wife Teresa, son Anastasios and help from my mother Vassiliki, we aim to provide you with an unforgettable place to relax and enjoy the perfect Greek holiday; sun, sand, delicious food, home-from-home accommodation in Agios Gordios, Corfu and of course, the ideal hideaway from the stresses of modern-day life! 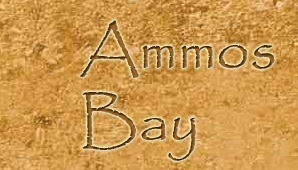 en_US 00302661053870 Ammos-Bay Hotel is situated in Agios Gordios, a verdant area surrounded by trees and rocky mountains. It is 5 minutes walking from the beach and 20m from the village centre. There is a bus stop right next to the hotel which provides bus services to Corfu Town. The apartment complex provides a calm and tranquil atmosphere. Also worth mentioning is the marvelous, spacious garden, and the superb swimming pool located 50m away from the hotel. There are regular evening barbeques organised in the garden, providing guests with the opportunity to savour Greek-style mezedes (light snacks). en_US 00302661072459 Σ' ένα χώρο οκτώ στρεμμάτων βρίσκονται κτισμένα αμφιθεατρικά δύο κτίρια. Το ένα σε Κερκυραϊκό ρυθμό, με αποχρώσεις ώχρας και πράσινου και το άλλο σε λευκό κα γαλάζιο ελληνικό χρώμα. Ο χώρος είναι γεμάτος ελιές, πορτοκαλιές, λεμονιές και πυκνό πράσινο. Όλα τα διαμερίσματα βλέπουν στο απέραντο γαλάζιο του Ιονίου και το πράσινο της Κερκυραϊκής φύσης. ΑπΆ το μπαλκόνι σας θα δείτε την ανατολή που θα σας μαγέψει και το φεγγάρι που θα φωτίζει τα βράδια σας. ΑπΆ την άλλη πλευρά του διαμερίσματος το καταπράσινο βουνό Άγιοι Δέκα θα σας ξαφνιάσει γιατί βρίσκεστε σε ένα περιβάλλον που συνδυάζει βουνο και θάλασσα. en_US 00302662052814 If you are coming to explore the Island of Corfu, or just to relax and enjoy the glorious sunshine, Andriana apartments is the perfect place for your Holiday,without compromising luxury and comfort.Andriana Apartments are located in the Heart of the resort of St George in the south of the Island (Agios Georgios). 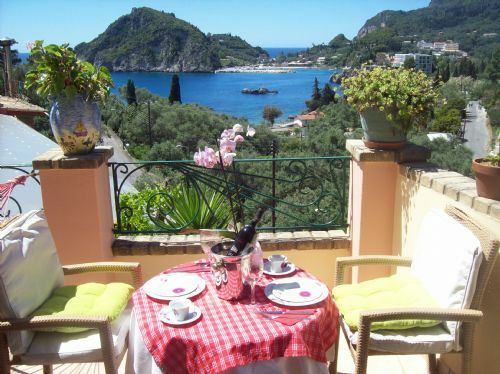 en_US 0030 GOLDEN NESTS hotel-apartments and Rooms are located in beautiful Agios Gordios resort, Corfu just 400m from the Beach. The hotel lies on the top of a hill ,right above the beautiful beach The apartments lie in a peaceful and full of green location, which can transform your vacations to an unforgettable experience. Combining the green environment, the sea and the wonderful view, our complex can provide unforgettable vacations in Corfu island, one of the most beautiful island of Ionian. GOLDEN NESTS hotel-apartments and Rooms belongs to Mr.Alex Merianos and its family. Expending special effort, we aim to cover the permanently increasing needs of our customers. Agios Gordios Beach is located just 400meters far away from our complex, where you can enjoy your swimming as well as a wide range of sea-sports that the beach provides. en_US 00302661076851 The brand new Alexandros Studios provide all the comforts of a modern house. Air-conditioning, a fully equipped kitchen along with a big garden are ideal for leisure in the quiet and relaxed atmosphere of the greek islands, while the famous nightlife of the cosmopolitan island of Corfu is only a few minutes away. en_US 00302661072437 Accommodation in a peaceful environment surrounded by trees and a small river. Accommodation in a peaceful environment surrounded by trees and a small river. en_US 00302663031849 Σε έναν τόπο μοναδικό, φυσικού κάλλους, στο βόρειο τμήμα της Κέρκυρας, βρίσκεται το κατάλυμα μας ( κατηγορίας 3 κλειδιών) αποτελούμενο από 28 studios και 9 οικογενειακές μεζονέτες. Μόλις 350 μ. από την παραλία του Αγίου Ιωάννη,( 10 λεπτά με τα πόδια) το ΑBC Sweet Rooms απλωμένο σε έναν καταπράσινο κήπο, μεγάλης έκτασης με πλούσια βλάστηση και φιλικό περιβάλλον, αποτελεί τον ιδανικό προορισμό για εκείνους που αναζητούν αληθινές διακοπές. en_US 00302663041346 This exquisite villa on the seafront in a position unsurpassable, will guarantee the perfect holiday, with access to a private little beach just steps down from the luscious gardens with an outstanding unbelievable view of the bay, and the harbor. 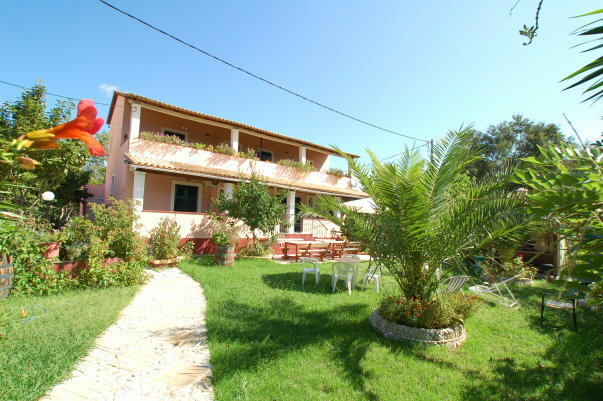 The villa has a beautiful panoramic uninterrupted view facing north west over the Ionian sea. en_US 0030266-3041105 Το « Ανεμώνα » βρίσκεται στην αρχή της Παλαιοκαστρίτσας. Τα studios βρίσκονται χτισμένα σε 2 επίπεδα , πάνω και κάτω από ένα καλά εφοδιασμένο super market. Το συγκρότημα αποτελείται από 10 studios. Τα studios είναι φωτεινά και ευάερα με μια τουαλέτα / ντουζ και κουζινάκι. Τα ιδιωτικά μπαλκόνια του πάνω ορόφου βλέπουν το χώρο στάθμευσης και έχουν θέα τους καταπράσινος λόφους στα βόρεια του θερέτρου. Το κοινόχρηστο πίσω μπαλκόνι έχει θέα στη γύρω εξοχή με την πληθώρα των ελαιοδέντρων. Τα studios του ισογείου έχουν δικό τους αίθριο και πρόσβαση στον κήπο. Το συγκρότημα συνδέεται με το Phivos Studios , που βρίσκεται σε μικρή απόσταση με τα πόδια ( 50 μέτρα ) και έχει δικαίωμα πλήρης χρήσης της πισίνας και του snack bar εκεί. Στην περιοχή γύρω από το κατάλυμα , υπάρχουν εστιατόρια, ταβέρνες , μαγαζιά με είδη δώρων , super market κ.τ.λ. Η κοντινότερη παραλία απέχει 800 μέτρα, εκεί θα βρείτε θαλάσσια σπόρ και βάρκες για βόλτα ή ενοικίαση. Πιο κοντά ( 600 μέτρα ) υπάρχει πρόσβαση σε ένα βραχώδη όρμο , που είναι δημοφιλής για ηλιοθεραπεία και κολύμπι. Υπάρχει μια στάση λεωφορείου πολύ κοντά στα studios ( 20 μέτρα ). en_US 00302661075028 Καλώς ήρθατε στην ιστοσελίδα του Τάσου Μαρκάτη. Θα δείτε καθώς θα κοιτάζετε τη σελίδα το πόσο θαυμάσια είναι η ταβέρνα 75 ΣΚΑΛΟΠΑΤΙΑ. Φυσικά υπάρχουν επίσης όμορφα δωμάτια για να μείνετε. Η ταβέρνα, η οποία φωλιάζει στο μικροσκοπικό βουνό του χωριού Σπήλαιο, απολαμβάνει την πανοραμική θέα της θάλασσας και των γύρω βουνών όπου θα δείτε τα πιο θεαματικά ηλιοβασιλέματα. Η οικογένεια Μαρκάτη διοικεί την ταβέρνα 75 ΣΚΑΛΟΠΑΤΙΑ πάνω από 30 χρόνια τώρα και το χωριό έχει γίνει το σπίτι της εδώ και γενιές. Είναι μια καταπληκτική οικογένεια η οποία είναι υπερήφανη γιατί προσφέρει την καλύτερη κουζίνα, την καλύτερη φιλοξενία και την καλύτερη εξυπηρέτηση στους πελάτες της. en_US 00306976448836 ADRIATICA VIEW apts are run by the owner's family, offering genuine Corfiot hospitality. The apartments are very quite, clean, surrounded by beautiful gardens with beautiful flowers and palm trees, thus offering an enjoyable environment to all our guests. All apartments are spacious and comfortable, equipped with en suite bathroom, air conditioning, kitchen facilities, balconies and with private car parking. Mostly recommended for couples, families and friends, it welcomes every year a great number of repeater guests, especialy for those who prefer to spend their vacation in a quite place. The sandy beach of Gardenos with its crystal clear waters is only a few minutes walk away from XIFIAS apartments and can be reached via a short footpath. ADRIATICA VIEW complex features magnificent sea views of the crystal clear seas of Ionian and unique sunset from his special wide observation balcony offering complete relaxation. 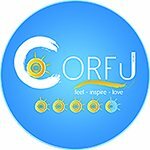 en_US 00302662052677 If you are looking for Corfu Hotels, Family Studios Hotel promises to do the best to offer you carefree and memorable vacations while enjoying the mystery and the magic of this dreamed destination. 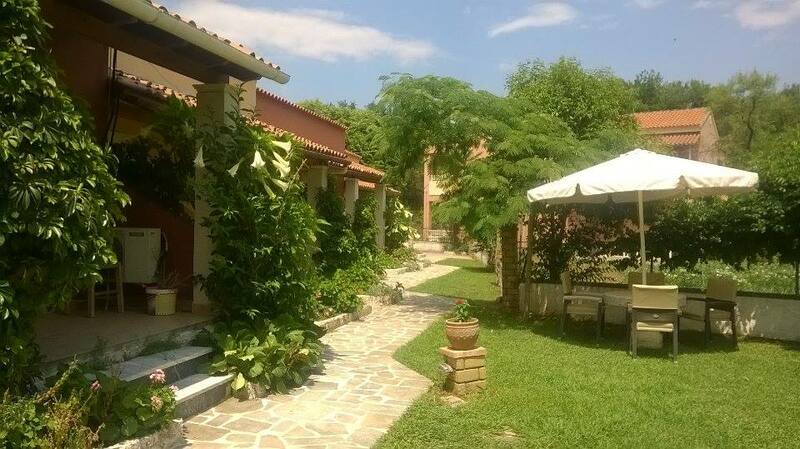 Family Studios is located in Marathias, maybe the most beautiful place of Corfu with an amazing view to Ionian Sea and not more than 100m from a marvelous beach. 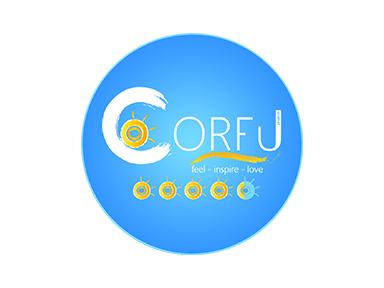 We belong to that category of Corfu hotels in wich staff stays at your disposal all day to take care of your needs and help where necessary! 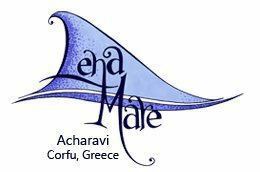 en_US 00302661053383 WELCOME to our apartments Marias studios and apartment are located in Agios Gordios Corfu, just 100 m away from Agios Gordios beach , one of the most beautiful beaches of Corfu , within easy transfer dinstance from airport and port. Although Marias studios and apartment are right on the main street of Agios Gordios , they are quiet all day and night times. Close to the Marias you will find our Super Market named "SPIROS"! The Maria's employs two (2) studios for two (2) or three (3) people, and one (1) two-floor apartment for four (4) or five (5) people, beautifuly decorated and furnished , with fully equipped kitchen , dinning room , shower room / w.c , telephone , tv, air condition , hair dryer , and Private balcony with beautiful view to our garden and the full green mountain! The highly recommented immaculate accommodation is under the personal supervision of the owners. Agios Gordios beach is located just 100 m away from our studios , where you can enjoy your swimming as well as sea-sports , such as water skiing-banana etc. In Agios Gordios you can also find scuba diving center and parapente. Some can also visit the nearby traditional villages of Sinarades and Pentati and walk in the lovely nature! en_US 00302661075618 Το Captain Homer Studios βρίσκεται στο όμορφο νησί της Κέρκυρας και απέχει μόνο λίγα λεπτά από το κέντρο του γνωστού θέρετρου της Μεσογγής. Το Captain Homer Studios είναι η τέλεια επιλογή για όσους αναζητούν ένα ήσυχο μέρος για να χαλαρώσουν και να απολαύσουν τις διακοπές τους, σε μια οικογενειακή επιχείρηση. Οι επισκέπτες το επιλέγουν για τα υψηλά πρότυπα διαμονής, την ηρεμία και τη διακριτικότητα που προσφέρει, την προσωπική φροντίδα των οικοδεσποτών του, αλλά και για την εξαιρετική του θέση (600 μέτρα από την παραλία). en_US 00302661072630 Spiros, Anne and family would like to give you a warm welcome to the Argo Website. We are a small self catering hotel and restaurant business at the heart of the quaint village of Benitses in Corfu. The village is centrally situated on the East Coast of Corfu, with Corfu Town and the Airport easily accessible within twenty minutes. The name Argo firstly appeared in Benitses on the signs and menu of our small Taverna that was located by the village Green opposite the harbour in Benitses. With hard work and a passion to provide the most amazing culinary and truly Greek experience, the Argo quickly became one of the most popular restaurants in Benitses, Corfu. After all these years we still maintain the same passion and have taken the Argo experience to a new level, offering an all round family holiday package. We have combined our new excellent self catering accommodation facilities with our restaurant and have kept the same friendly attitude and temperament of providing an excellent culinary experience in a traditionally Greek and friendly way. Argo accommodation, restaurant, pool and bar are situated thirty metres through the village street, opposite the Benitses kiosk. en_US 00302661071130 Εάν αναζητάτε για διακοπές ένα ιδιαίτερο μέρος που να συνδυάζει ρομαντισμό, γαλήνη και φυσική ομορφιά, τα ενοικιαζόμενα studios και διαμερίσματα Andromaches Holiday Apartments αποτελούν την ιδανικότερη επιλογή για τη διαμονή σας. Τοποθετημένα στις γραφικές Μπενίτσες Κέρκυρας κοντά στο φημισμένο παλάτιο του Αχιλλείου, η μονάδα μας παρέχει στους επισκέπτες της ευρύχωρα, ευάερα και ευήλια studios και διαμερίσματα για μια ευχάριστη και ξεκούραστη διαμονή. Σκοπός μας είναι να παρέχουμε μια διαρκή φιλική εξυπηρέτηση στους επισκέπτες μας, έτσι ώστε οι αναμνήσεις να τους ακολουθούν για πάντα. Υπηρεσίες υποδοχής, πληροφορίες για τις δραστηριότες του νησιού, ολοκάθαρη πισίνα, ασύρματη πρόσβαση στο Internet και φιλικό περιβάλλον για παιδιά, είναι μερικές μόνο από τις ανέσεις που παρέχει το Andromaches Holiday Apartments. Ο όρος φιλοξενία είναι το σημείο αναφοράς της μονάδας και το οποίο χρόνο με το χρόνο αναβαθμίζετε. Σας προσκαλούμε να ανακαλύψετε την «ζωηρή» Κέρκυρα επιλέγοντας το Andromaches Holiday Apartments για την διαμονή σας! en_US 00302661072087 Το Bella Studios** βρίσκεται στις Μπενίτσες, ένα μικρό όμορφο ψαροχώρι, ιδανικό για όποιον θέλει να εξερευνήσει την Κέρκυρα ή απλά θέλει να χαρεί τη γαλήνη και την ησυχία δίπλα στη θάλασσα. Απέχει από την υπέροχη παλιά πόλη της Κέρκυρας μόλις 12χλμ., από το αεροδρόμιο 11χλμ. και από το λιμάνι 13χλμ. To Bella Studios έχει πρόσφατα μερικώς ανακαινιστεί και προσφέρει στους επισκέπτες του 20 δωμάτια μονόκλινα, δίκλινα, τρίκλινα και οικογενειακά. Όλα είναι πλήρως εξοπλισμένα και διαθέτουν: Κλιματισμό Ψυγείο Τηλεόραση En-suite μπάνιο (ντους) Μπαλκόνι ή βεράντα Κουζινάκι με όλα τα απαραίτητα Πρωινό: Πλήρες ελληνικό πρωινό μπουφέ σερβίρεται στο ξενοδοχείο Bella Vista, σε απόσταση 50 μέτρων. Το πρωινό περιλαμβάνει μια συλλογή από τοπικό ψωμί και μπισκότα, ζαμπόν και τυρί, σπιτική κρέμα, τυρόπιτα ή σπανακόπιτα, σπιτικά κέικ, δημητριακά, γιαούρτι, φρουτοσαλάτα, κρύος χυμός πορτοκάλι ή κεράσι και τσάι ή καφές φίλτρου. Το Bella Studios διαθέτει ακόμα: Δωρεάν πρόσβαση σε Internet υψηλής ταχύτητας (Wi-Fi) στο χώρο υποδοχής του ξενοδοχείου Bella Vista Bar Ενοικίαση αυτοκινήτου Tour desk στο ξενοδοχείο Bella Vista Ελεύθερο δημοτικό πάρκινγκ στα 200 μέτρα Για τους θερινούς μήνες, η πισίνα Barracuda βρίσκεται απέναντι από το Bella Studios με τιμή εισόδου 3 ευρώ (τιμές 2008) που περιλαμβάνει χρήση ξαπλώστρας και ομπρέλας. 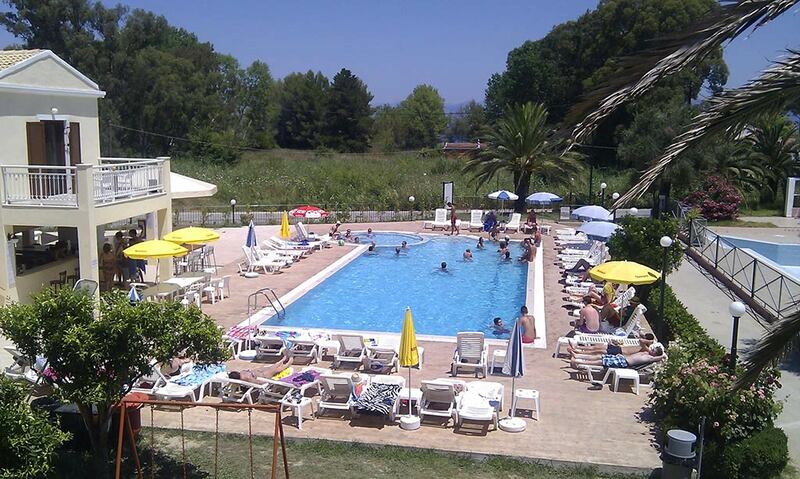 en_US 00302663099411 Katsaros Apartments are in a quiet location on the outskirts of Sidari, Corfu, about a ten minute walk from the main strip where you will find all the bars and restaurants and about half a mile from the nearest beach. Sidari is a popular Greek tourist resort in the north of Corfu Island and is home to plenty of traditional and English style bars, restaurants offering cuisine from around the world and shops selling locally made souvenirs and jewellery. 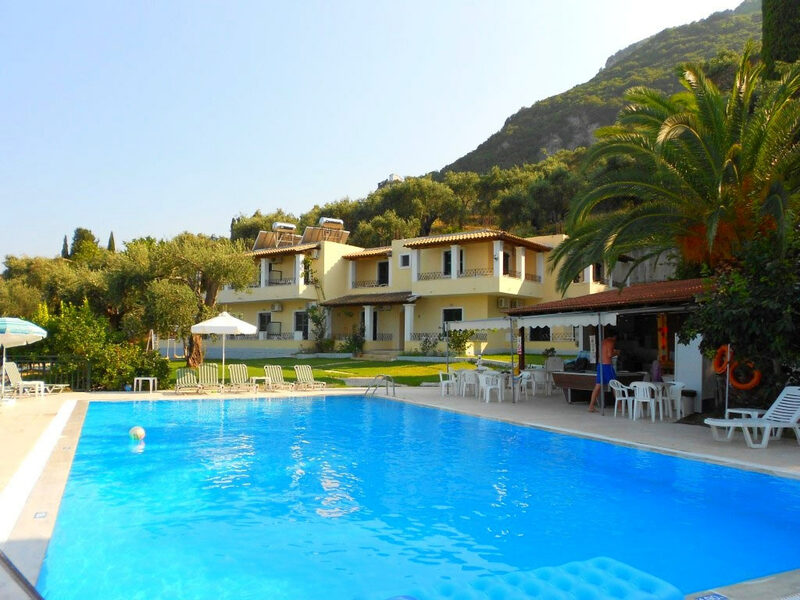 The Katsaros Apartments has its own swimming pool, sun terrace furnished with loungers and parasols and a poolside bar serving drinks and snacks. All rooms can be air conditioned (with extra charge payable locally) and have a kitchenette, a fridge and en-suite facilities,wi-fi. en_US 00302661076224 Open to visitors ecological farm, situated in Lake Korission on the south-western coast of Corfu Island, which is in the West of Greece. Surrounded by beautiful scenery, peaceful environment and open horizons are two traditional houses equipped with modern facilities and a restaurant where we serve food of our organic home-made production. You may wonder around the 70 acres of our estate in the olive groves and gardens. Your children -and yourselves – will become familiar with farming tools of the pre-industrial era and the rural animals; it is possible to sit and observe the lake wildlife, such as wild ducks, silver pelicans and ardeidae, the lake and surrounding area being a protected site of natural heritage (NATURA 2000). If you choose to spend the night - or several of them - in the farm you can stay in a traditional residence, and delight in the serenity of open horizons and calm environment. The residences follow the lines of old local architecture but they do not lack comfort. Although there is a nice kitchen in every house, where you could prepare your own food, you may prefer the estate’s small organic restaurant. en_US 00302661075397 Set in tranquil gardens studded with olive trees, citrus bushes and colourful blooms, the Mayflower Apartments are ideal for couples and families in search of a relaxing break. The simple, cosy complex consists of studios and two bedroom apartments, each equipped with all the creature comforts needed for a comfortable self-catering stay. Guests can spend days enjoying the pleasant on-site swimming pool with separate children's section, yet those looking to explore their surroundings will find the beach and resort centre with a good choice of shops and local restaurants just a five-minute stroll away. en_US 00302661075238 The Leftis Romantica is a family run business with a friendly and relaxing atmosphere located in Moraitica village. 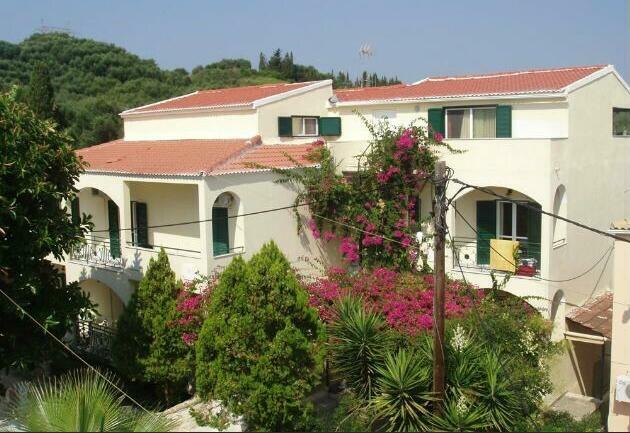 Situated on the South East coast in Corfu, approximately 30 minutes from the airport and historic Corfu town. Its comfortable studios and apartments offer ideal accommodation for both families and people of all ages. You will always receive a warm welcome at the pool bar where various activities take place nightly and by day you can relax by the pool where there is a snack bar serving homemade snacks all day. en_US 00302661075056 The hotel has 37 rooms in total. The welcoming environment along with the high standard of service practically guarantees a memorable holiday. It offers bar and limited dining facilities. Car parking is also available, though subject to fees. Bella Crecia aparthotel is located at the are of Moraitika, 18 km away from the airport of the island and 20 km from the main port of the island. The complex is situated only 200 meters from the beach where guest can have a swim. 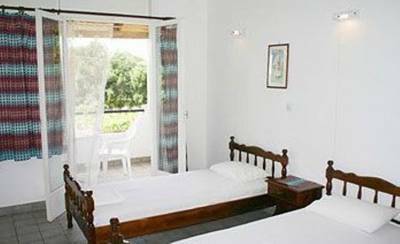 The rooms are comfortable and come fully equipped and beautifully decorated offering panoramic views. En suite bathroom, direct dial telephone, television, minibar, fridge, individually adjustable air conditioning and central heating feature as standard. 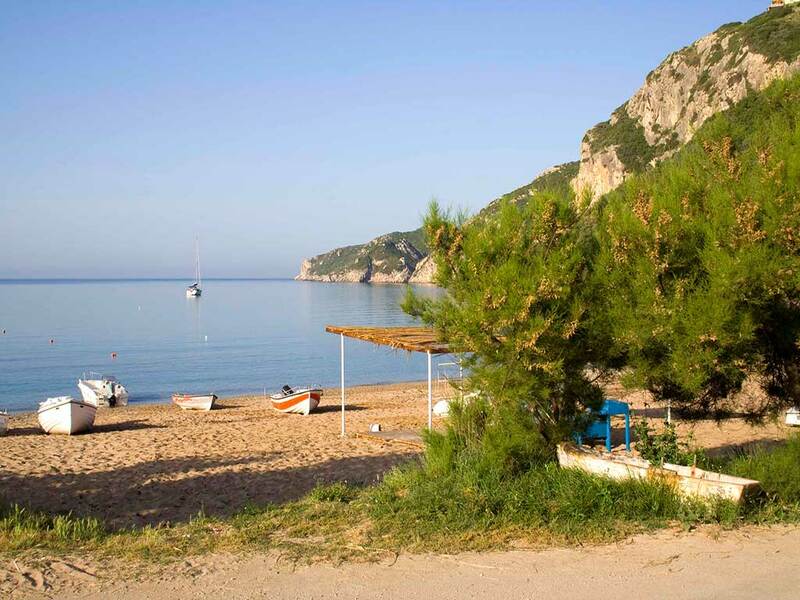 en_US 0030266-1053383 Maria's studios and apartment are located in Agios Gordios Corfu, just 100 m away from Agios Gordios beach , one of the most beautiful beaches of Corfu , within easy transfer dinstance from airport and port. Although Maria's studios and apartment are right on the main street of Agios Gordios , they are quiet all day and night times. The Maria's employs two (2) studios for two (2) or three (3) people, and one (1) two-floor apartment for four (4) or five (5) people, beautifuly decorated and furnished , with fully equipped kitchen , dinning room , shower room / w.c , telephone , tv, air condition , hair dryer , and Private balcony with beautiful view to our garden and the full green mountain! The highly recommented immaculate accommodation is under the personal supervision of the owners. Agios Gordios beach is located just 100 m away from our studios , where you can enjoy your swimming as well as sea-sports , such as water skiing-banana etc. In Agios Gordios you can also find scuba diving center and parapente. Some can also visit the nearby traditional villages of Sinarades and Pentati and walk in the lovely nature! *Close to the Maria's you will find our Super Market named "SPIROS"!